Noise levels at fireworks displays can be louder than at a rock concert and can damage hearing. 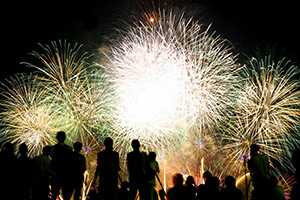 Charity Action on Hearing Loss warns that fireworks displays can reach above 120 decibels – equivalent to a jet taking off – and can contribute to long-term hearing loss. Loud noise is the biggest cause of preventable hearing loss, with culprits including MP3 players, concerts, fireworks displays and loud music at funfairs. 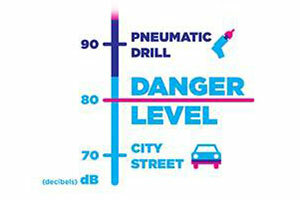 The cumulative effect of loud noise over time can cause permanent hearing damage. Which? has compared and rated hearing aid providers to see which are the best at offering a range of products and prices. See which came out on top by reading our guide to NHS vs private hearing aid providers. Gemma Twitchen, senior audiologist at Action on Hearing Loss, said: ‘Once your hearing has gone there’s no getting it back. You can find out more about the different types of hearing damage, and discover the best course of action to take if you experience it, by reading our guide to hearing loss. It’s estimated that almost four million people in the UK need a hearing aid but don’t know it. Signs of hearing loss include asking people to repeat things, thinking others mumble and having difficulty hearing on the telephone. Those who are losing their hearing wait around 10 years before seeking help. But if you’re experiencing problems, the sooner you start wearing a hearing aid the better – as the longer you leave it the harder you’ll find it to adjust to one. Our expert and impartial advice reveals the pros and cons of the different types of hearing aids available and can help you choose the best one for you. Find out more in our guide to choosing the best hearing aid.